But here's a new twist on realizing that dream: Why not head out on a safari by cruise? I recently set out on my very first safari from aboard a cruise ship, and I can tell you that a safari is indeed every bit as magnificent as you might have imagined it to be (and probably even a little more so), and doing so via a cruise ship is a relative (sub-Saharan) breeze. While many of the best things about travel can stem from the serendipitous, when it comes to safaris, the best rewards are usually reserved for the well-prepared, which is the very reason for this mini-guide to safari cruises. Note that for the purpose of this piece, we've chosen to focus on voyages that take in mainland Africa, the epicenter for traditional safari country (overlooking some popular-for-cruising African island destinations such as Madagascar, which propose some incredible wildlife viewing opportunities all their own). We've also skipped over African river cruises here -- which unfold primarily on Botswana's Chobe River, through the wilds of Chobe National Park -- since inland journeys by riverboat dictate an entirely different set of logistics and tips. With that in mind, read on for everything you need to know to plan the perfect African safari cruise for you. While not all cruise lines specifically market their African safari-primed sailings as "safari cruises," per se, their itineraries -- typically ranging from 10 to 15 nights in length -- are well-suited to the experience all the same. African safari cruises are largely the terrain of luxury cruise lines, and the major player in this arena is upscale Silversea Cruises. The line offers a good selection of 10- to 18-night safari-focused voyages that emphasize South African game reserves and, to a lesser extent, those in Mombasa, Kenya (with additional less-friendly-for-safari port calls in Tanzania, Namibia and/or Mozambique). Itineraries primarily run roundtrip from Cape Town, with some cruises operating between Mombasa and Cape Town, or between farther-flung locales on repositioning segments such as those between Mombasa and Dubai or Cape Town and the Seychelles. Other luxe operators offering safari-friendly itineraries include Oceania Cruises, which runs a couple of Cape Town-to-Cape Town, 15-night South Africa-centric itineraries, highlighting safari-friendly calls in South Africa (as well as stops in Namibia and Mozambique). They also have a handful of longer repositioning sailings (upward of 30 nights) that propose safari opportunities in Africa (in South Africa and/or Kenya) on voyages that run between Cape Town and the Middle East (at Dubai) or Asia (at Singapore). Regent Seven Seas Cruises has a Cape Town roundtrip, 15-night itinerary (in November 2016) with opportunities for safari stops in South Africa, as well as a call in Walvis Bay, Namibia. Coming up in 2018, German cruise line Hapag-Lloyd Cruises' internationally marketed ship, the upscale Europa 2, will offer a couple of 15-night, safari-themed itineraries sailing roundtrip from Cape Town, or from Cape Town to Mauritius, highlighting South African game reserves (as well as stops in other African locales like Namibia or Madagascar). Once in a while, Crystal Cruises offers a relative African itinerary (ranging from 12 to 15 nights), sailing roundtrip from Cape Town or from Cape Town to Mauritius, with stops at plenty of safari-friendly South African ports. Upscale French line Ponant also has an eight-night voyage from Cape Town to Durban (scheduled in March 2017), touting safari-primed stops in South Africa en route. Cunard runs 17-plus-night voyages between Cape Town and Southampton, England; it also offers longer itineraries between Cape Town and destinations such as Hong Kong, Sydney and Fremantle, with opportunities for safari excursions in Port Elizabeth, South Africa. For a less premium option, British-owned, enrichment-focused Voyages of Discovery offers a couple of safari-friendly itineraries operating between Mauritius and Cape Town (14 nights), with stops in South African ports (as well as in Reunion Island and Madagascar); or between Cape Town and the Canary Islands (21 nights), with multiple calls along the western coast of Africa. You'll find safari-minded shore excursions in several South African ports, with a few alternatives out of Mombasa in Kenya. Port Elizabeth, South Africa: Port Elizabeth, or PE, is probably the single most popular port call for cruise-based safaris, thanks to its close proximity to the superlative Addo Elephant National Park, South Africa's third-largest national park. Most cruise lines, including Silversea, Regent Seven Seas Cruises, Ponant, Hapag-Lloyd Cruises and Cunard, offer half-day guided excursions to the 445,000-acre, malaria-free game reserve. With 4x4 game drives led by park rangers, you'll have an opportunity to glimpse the "Big 5" (elephants, buffalo, rhino, lions, leopards) here, and are almost guaranteed sightings of elephants, which number more than 600 within the park. Some lines (like Silversea and Hapag-Lloyd Cruises) offer an upgrade for a fly-in elephant safari in neighboring private reserves, too, where you can even ride the elephants or watch them swim. Some lines -- including Regent, Hapag-Lloyd and Ponant -- offer alternate full-day safari excursions to one of the many regional private game reserves, such as Kariega Private Game Reserve, Lalibela Game Reserve, Pumba Private Game Reserve or Kwantu Private Game Reserve. Richards Bay, South Africa: Another hugely popular port call for the safari-minded, the industrial port town of Richards Bay is the access point for two excellent neighboring wildlife reserves: Hluhluwe-Imfolozi Park and iSimangaliso Wetland Park. Hluhluwe-Imfolozi Park is one of the best game reserves in all of South Africa, where the Big 5 are met by plenty of giraffe, zebra and antelope, in a lovely natural setting defined by cliffs, valleys and rivers. Most cruise lines that stop in Richards Bay offer ranger-guided 4x4 excursions here. The park is especially celebrated for its conservation efforts that have made it one of the best places on the planet to see rhinos. Equally notable is nearby iSimangaliso Wetland Park, a UNESCO World Heritage Site, where a popular shore excursion involves a local two-hour sightseeing cruise on Lake St. Lucia, giving passengers an up-close views of the hippos, Nile crocodiles and diverse bird life (including flamingoes) that call these waters home. Cruise lines such as Silversea, Regent, Ponant and Hapag-Lloyd offer excursions for both reserves. Durban, South Africa: The bustling beachfront city of Durban is better known for its palm-fringed, sandy shores and fascinating multiculturalism than its game drives, but a handful of lines (Silversea, Regent and Hapag-Lloyd) do offer half-day runs for ranger-guided game drives in the nearby 7,500-acre wildlife conservancy at Tala Private Game Reserve. Tala's unique landscape of grasslands, wetlands and acacia thornveld provides haven to more than 300 types of birds, as well as big game such as rhino, hippo, buffalo, giraffe and antelope. Mossel Bay, South Africa: This sunny port wins points for its mild, sun-kissed climate, beaches and marine wildlife viewing. Some cruise lines (such as Silversea, Regent and Hapag-Lloyd) feature half-day 4x4 game drives here, in the malaria-free Botlierskop Private Game Reserve. Botlierskop is noted for its unique fynbos (a native shrubland) and woodlands landscapes that accommodate more than 200 species of birds and some 1,800 resident animals, including elephants, zebra, white rhino, buffalo, giraffe, wildebeest and lions. East London, South Africa: South Africa's only river port, East London is used as a springboard by a handful of cruise lines for excursions to smaller regional game reserves. Silversea and Regent Seven Seas passengers, for instance, might head out on a half-day 4x4 game drive in Inkwenkwezi Game Reserve in search of rhino, giraffe, wildebeest, zebra and birds (including ostriches). Regent, meanwhile, additionally leads similar tours to the nearby 8,600-acre Mpongo Game Reserve, home to lions, elephants, rhino, hippo, giraffe, antelope and various bird species. Mombasa, Kenya: While inland Kenya is a hugely popular destination for land-based safari trips, note that the safari options accessible from Mombasa -- the nation's principal port -- are more limited. Silversea and Oceania both call here; Silversea offers a worthwhile full-day game drive excursion to the nearby Mwaluganje Elephant Sanctuary, tucked within a tropical rain forest that borders Shimba Hills National Reserve. Passengers can spot the more than 200 elephants that reside here, along with baboons, warthogs and antelopes. The cruise lines know that travelers are coming to Africa with safari-going top of mind, and are more than happy to cater to cruisers interested in combining their safari-themed voyage with a land-based, overnight safari component. These overland extensions usually unfold in South Africa or Kenya, and can be tacked on before, after or even during the course of the sailing. 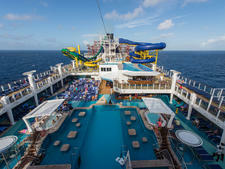 (Of course, these arrangements can be made independently of the cruise line as well.) 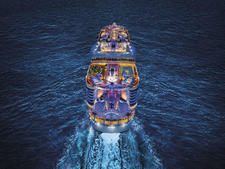 Here's what's on offer, by cruise line. 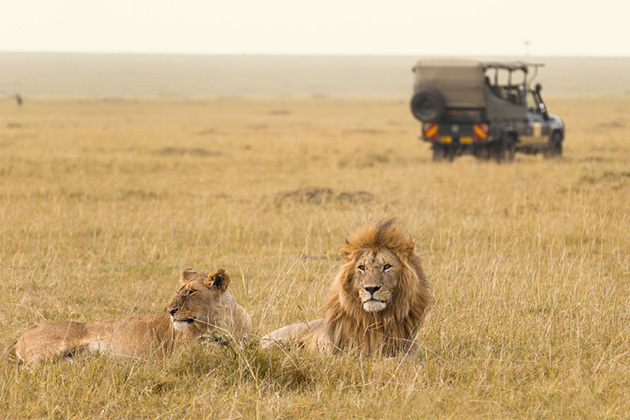 Silversea: Silversea offers pre- and post-cruise safari extensions on voyages that begin or end in Cape Town or Mombasa. For Cape Town, tack on options such as a three- to four-night, pre- or post-cruise lodge stay at private game reserves near Kruger National Park (requiring a flight to Johannesburg), or try a three-night stay at Sanbona Wildlife Reserve (set in the Little Karoo, in the Western Cape outside of Cape Town). The cruise line also offers a two-night, mid-voyage land adventure at Phinda Private Game Reserve or Pumba Private Game Reserve, which requires passengers to disembark in Durban or Richards Bay before rejoining the ship at the next port. For voyages beginning or ending in Mombasa, passengers can also opt in for a four-night pre-/post-cruise offering, complete with plush lodging, in the Serengeti (including a flight to Nairobi). Oceania Cruises: Oceania gives passengers the option of a three-night, pre- or post-cruise land tour for cruises embarking or disembarking in Cape Town. The trip combines a visit to the Winelands with a hosted Big 5 game drive in a reserve like Aquila Game Reserve. Alternately, select Oceania voyages might also feature a mid-voyage, overnight safari excursion, such as an overnight stay in Pumba Private Game Reserve (disembarking in Port Elizabeth, rejoining the ship in East London) or two nights at Kariega Game Reserve (from Port Elizabeth, re-embarking the ship in Durban). Regent Seven Seas Cruises: Regent also offers pre- or post-cruise safari programs for sailings starting or ending in Cape Town. Three-night add-ons are available in spots such as Sanbona Game Reserve, Lalibela Game Reserve, Amakhala Game Reserve, Shamwari Game Reserve and several others that are also within driving distance of Cape Town. Additionally, one- to two-night, mid-voyage, overnight excursions are available to lodges within Phinda Private Game Reserve (disembark in Richards Bay, board again in Durban), Shamwari Game Reserve (disembark in Durban, rejoin ship in Port Elizabeth) or Pumba Private Game Reserve (disembarking in East London, re-embarking in Port Elizabeth). Ponant: Ponant likewise offers a three-night, post-cruise safari add-on in a luxe lodge in South Africa's Sabi Sands Game Reserve, requiring a flight from Durban to the Kruger National Park area. Cunard: Cunard offers pre-, post- and mid-cruise safari add-ons in South Africa for voyages that begin, end or simply call in Cape Town. The land-package options might include a one-night stay at Aquila Game Reserve, set in the western Karoo outside of Cape Town; a two-night stay at Lion Sands Game Reserve, featuring game drives in Kruger National Park and Sabi Sands Game Reserve (a flight to Kruger is required); or a two-night stay at Phinda Game Reserve, requiring a flight to Durban. Voyages of Discovery: Voyages of Discovery runs three-night, pre- or post-cruise safari add-ons for sailings embarking or disembarking at Cape Town, including to the within-driving-distance Garden Route Game Lodge. (That trip also includes visits to additional wildlife-education spots like the Monkeyland Primate Sanctuary and the Safari Ostrich Farm.) They also have a two-night extension to Victoria Falls in Zimbabwe (requiring a flight) that incorporates an elephant-back safari and a chance to look out for hippos and crocodiles along the Zambezi River. For itineraries that feature an overnight stopover in Richards Bay, mid-voyage overnight stays are also available at Phinda Private Game Reserve or Thanda Private Game Reserve. Safari cruises are generally offered from December through February, with a few scheduled for as early as November and others running as late as March or even April. (Itineraries offered on the fringes of this period are usually repositioning sailings that won't focus as heavily on African ports.) This timing pairs well with high-season safari periods in destinations like Kenya, with optimal safari conditions there from January through March. In South Africa, June through August (the dry season) is considered peak safari time, but conditions are generally pretty good in the country all year round. Cruising during the Southern Hemisphere's summer means that visitors can take advantage of warm weather, which is perfect for those looking to hit the beaches. Cruisers who travel later in the cruise season -- closer to February or March -- can pair safari viewing with the harvest season in South Africa's wine country. Most people go on safari as a land vacation. So what are the benefits of checking off this bucket-list trip via cruise, and are there drawbacks? Here, we've outlined some of the major pros and cons of tackling a safari by cruise, instead of by the traditional land-based approach. Cruise safaris mean fewer decisions to be made. A land-based safari is a complicated affair, with countless choices to make: Where and when to go? Should you sign up with one of the oh-so-many tour companies or go it alone? The options for safari cruises, happily, are far more limited in scope, and sorting through the available options from fewer than 10 cruise lines (which run pretty similar itineraries during the same few months of the year) is not nearly as daunting. 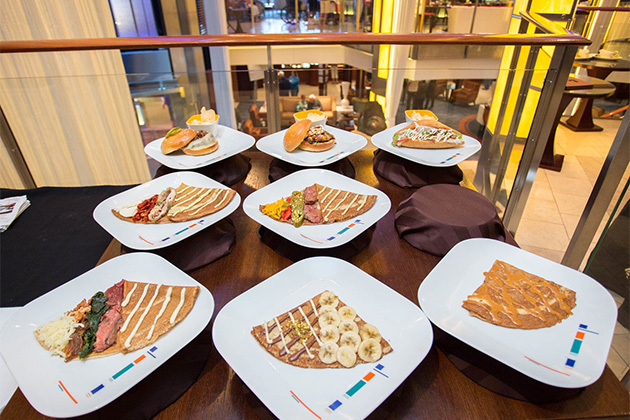 As soon as you make your pick, you've already arranged your room, board and transportation in one fell swoop, and will likely have a roster of well-organized, safari-minded shore excursions right at your fingertips. You'll get off the beaten safari path. Following a cruise itinerary along a coastal route, you'll get to explore lesser-visited game reserves that are not necessarily any less rewarding than the more-frequented ones found farther inland. In South Africa, for instance, Addo Elephant National Park outside of Port Elizabeth or Hluhluwe-Imfolozi Park outside of Richards Bay may not get the buzz of, say, Kruger National Park, but you can be rest assured that they encompass world-class safari ground all the same. You'll cover more ground and have access to different types of reserves. While most land-based safari-goers are typically limited by logistics to visiting safari lodges and reserves in the same geographical region, a cruise will allow you to cover considerably more ground, so you can take in a good handful of diverse reserves along the way. We recommend taking in as many as possible on your sailing, since no two reserves are alike, and there is a wide diversity of landscapes and wildlife from park to park. You'll be well-positioned to see the marine "Big 5," too. African wildlife doesn't stop on land. Being on a ship -- and in ports with easy access to local sightseeing cruises -- will have you well positioned to sample a marine safari of sorts, with plenty of sharks, whales, dolphins, seals and penguins on view, particularly in South African seas. You'll be limited to reserves and parks that are accessible from port. Unless you tack on a land-based, pre- or post-cruise safari extension (which plenty of cruise lines offer as add-ons), your shore excursions will be limited to what's accessible from the port. Many of the big-name reserves that lie inland, such as South Africa's Kruger National Park, will be off-limits. You'll have time limitations. Unlike a land-based safari, where you can get up at the crack of dawn or set out on safari close to sunset (two times when animal activity is heightened), you'll be limited by the time constraints of your ship's scheduled port call. Depending on the cruise schedule, you might not get to the game reserve until closer to midday, when the sun and heat can drive the animals to rest, making them more difficult to spot. If you're not especially lucky with your game drive, you likely won't have a second chance to go out and try it again. 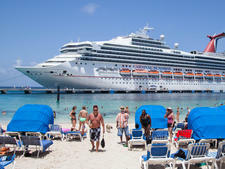 This is largely the market of luxury cruise lines. 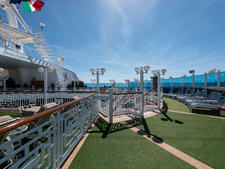 Sorry, budget-minded travelers -- this is almost exclusively the domain of luxury cruise lines, with price tags to match. We outline some helpful hints in our Africa Cruise Tips feature that certainly cross over here, such as stocking up on your vacation days (since most African safari voyages are 10 nights or longer in duration), arriving at least one day ahead of your embarkation day and getting all of your visas and immunizations in order well in advance of your trip. But here are a few more safari cruise-specific tips to likewise consider. Get ready to be unsteady. The Cape of Good Hope at the southern tip of Africa, where most of these cruises navigate, is notorious for its sometimes treacherous seas. Anticipate rocky seas -- and some seasickness if you don't have the sturdiest of sea legs. Bring binoculars, cameras ... and patience. You'll definitely want to have your binoculars and camera on hand for the incredible nature and wildlife scenes that you'll be taking in, but don't forget to pack your patience, too. Remember, there are no guarantees on safari, so don't get your heart set on seeing any one animal specifically -- your experience will largely be left up to the whims of Mother Nature, and just how long you might be willing (or able, depending on your excursion schedule) to wait. Tour with a safari guide. Setting out with a good guide, especially a park ranger, will considerably up your chances of spotting wildlife. Trained guides are well-versed in the prime in-park vantage points and can get timely updates from other park rangers on current animal movements and migrations. Cruise-run safari excursions will typically make such arrangements as part of their tour (be sure to inquire when booking). If you're making plans to visit the safari park independently during your time in port, you'll definitely want to hire a knowledgeable guide. Put safety first. 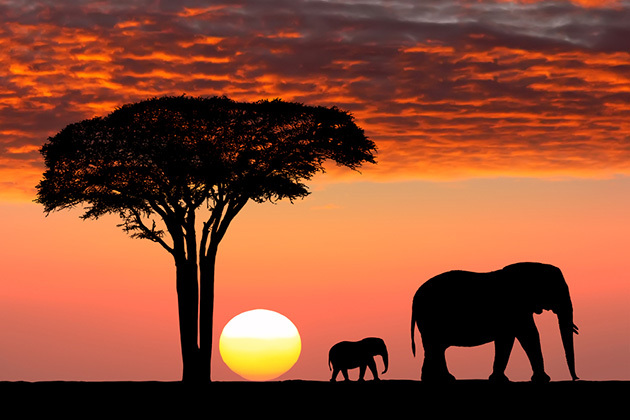 Before booking a trip, check in with the U.S. Department of State for any travel warnings to African safari areas that you might want to tackle, as many African nations are subject to political unrest, waves of crime and even terrorism. At press time, Kenya, for instance, had ongoing warnings listed. Rest assured, get insured. Travel insurance is a smart investment for the peace of mind it affords. Safari cruises are expensive, and should an illness or other unforeseen circumstance disrupt your travel plans, you'll get reimbursed if you've purchased insurance. Not to mention that your regular health insurance likely won't cover you during your travels in Africa -- another major area where travel insurance can step in should the unexpected occur.